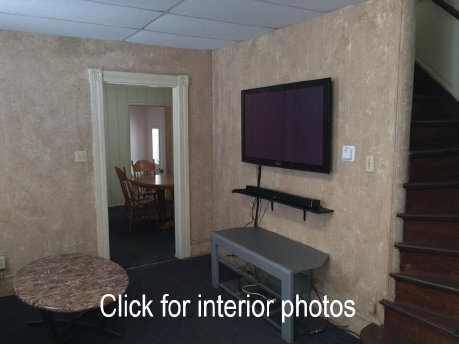 6 bedroom house for 4-8 tenants located approximately three Blocks from Campus. Furnished (except beds), includes washer, drier and dish Washer. 50" Plasma TV. Off street parking for up to six cars. Most rooms remodeled Summer 2007. Upstairs bathroom fully remodeled Summer 2011. New stove, refrigerator, washer and drier Summer 2015. Pet permitted with restrictions*. *Pet Restrictions: Only 1 of the three following type pets will be permitted.